Albert Briant was born on 26 June 1877 at Melbourne Place, Southsea, Portsmouth, Hampshire. He was the son of Charles Briant, born in Fordingbridge 1829, and Jane Briant, nee Glover, born in Gosport 1838. He was the eighth child of Charles but only the first by Jane. Charles and Jane married on 17th September 1876, at St James, Milton in Portsea, after the death of his first wife, Elizabeth 46, in the September quarter of 1874 in Portsea. Elizabeth Briant, nee Dyer, was born in Frogham, Hampshire in 1827. They married at Fordingbridge, St Mary, on 31st July 1851. Charles was described, in various documents, as being employed as a Carman. In 1878/9 another son was born, Edwin/Edward, and in the 1881 census the family had moved to 25 Alpha Street, Portsea. Ten years later they had again moved and were living at 22 Staunton Street, Portsea. The census of 1891 tells us that Albert was not living at home and not in the Portsmouth area at all. The census also reveals that another son, Arthur, was born in 1881/2. More about him will follow. Albert's location at this time is not at all certain but perhaps he had run away to sea or gone to London to seek his fortune. The latter of these is the most likely as in 1900 he was lodging in the home of Jane Lines, 140 Sumner Road, Peckham, London. Indeed on the 29th July 1900 Albert married a daughter of the household, Alice, at All Saints Church, North Peckham. Both of their fathers had died before the wedding. The witnesses were Charles Frederick John Lines, Alice's brother, and Caroline Elizabeth Davis, her sister. Both Albert and Alice's father, also Charles F J Lines, were described as 'house painters'. Alice already had a daughter, Maud, who was adopted by Albert. The name of Maud's father is not known but could well have been Albert. The 1901 census has Albert and Alice, both 25 and Maud A, 5, living at 2 Dowlas Street, Camberwell. Albert is described as a stationary railway engine stoker. Also in this census Jane Lines is living at 87 Sumner Road, with Charles F J, Harriet, his wife, and their son Charles F J. Charles is described as a house painter. In February 1902 May Briant was born, her twin sister Violet dying soon afterwards. Two sons followed, Albert Arthur and Frank, in 1904 and 1906 respectively. 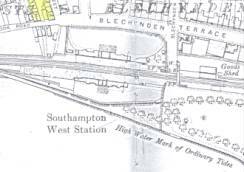 In about 1908 the family left London for the south coast, settling in Southampton at 4 Southbrook Square, near West Station. The reason for this move was probably for Albert to find work in the rapidly expanding port. In 1908 a third son, Leonard, was born, followed in 1910 by Irene. For reasons, which may never be known, but perhaps due to his failure to complete his apprenticeship or some other misdemeanour, Albert adopted the name 'Michael Stafford' in order to go to sea. He served as a fireman on the Teutonic, the Majestic and the Oceanic, as well as periods, between the long voyages, on the Isle of Wight ferries. The family also said that they thought that he had served on board ships to China and the Far East, bringing back a small casket, which is still in the family. In April 1912, despite grave misgivings, common amongst the seamen of the time, he signed on the crew of the Titanic as a greaser. Once again using the name Michael Stafford of Southbrook Square, Southampton. Next to him on the crew list was his brother Arthur, who was then using the surname Morris. The events of April 1912 are engraved forever in the pages of history books and both brothers were lost in the disaster. Following the sinking, Alice had to prove to the authorities that 'Michael Stafford' was in fact her husband Albert Briant and the family had to rely on handouts from the vicar and other charities until the Titanic Relief Fund recognised them as dependants. The eldest son, Albert Arthur 8, was even sent out to pick pockets and shoplift in order for the family to survive. A further daughter, Vera, was born later in 1912, making a total of seven dependant children. Alice was not impressed during this time of hardship, to be asked for a donation towards building a memorial to the Titanic crew in the city. Later the same year she moved back to London with Arthur's widow and their respective families. She continued to receive the Relief Fund until her death in 1958, claiming until her dying day that 'her Mick' was alive and well and living in the U.S.A. All his life he had boasted that he would never go down with a ship and had apparently been shipwrecked before. As to the mystery involving Albert's brother, Arthur, the family had been given to understand that he was only a half-brother, their mother having married again after the death of Charles. Arthur was then known as Frank Arthur Morris and that was the name he continued to use. However, from the 1891 census, it would appear that Arthur was actually the son of Charles Briant and not of a Morris, making him a full-brother after all. 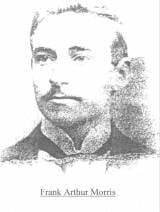 The information regarding Frank Arthur Morris came about through a chance meeting between the Great-Granddaughters of Albert (Hilary Popple) and Arthur (Tess Moffett) at a Titanic Convention in Southampton in April 2000. Tess had always known that her Great-Grandfather had a half-brother on board and that her family was in some way connected to the Briant family but as there was nobody by the name of Briant on the crew list she had never known who the half-brother was. 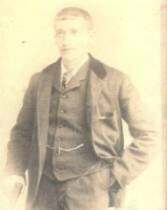 Frank Arthur Morris was married in South Africa in 1904 but returned to England with his wife and family sometime after 1906, before joining what we now believe to be his full brother on the ill-fated Titanic in 1912. 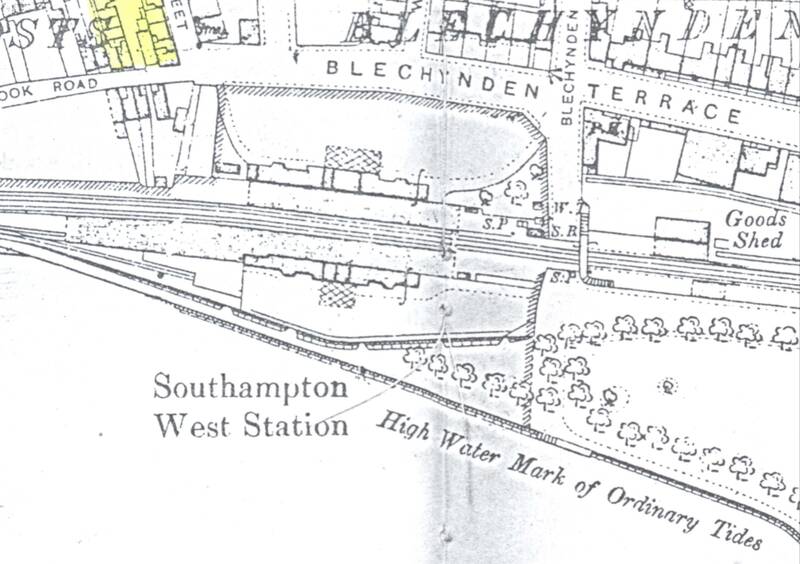 Tess's grandmother recalled the two families leaving Southampton together to start a new life in London and the children all grew up together in the Peckham area. Tess had a copy of a magazine article about Albert Arthur Briant as a locksmith but was not sure why it was of interest to her family. Now we know why! One of her elderly relatives recalled that Arthur was always playing with locks as a child and had kept the article as she was sure it must have referred to the same person. 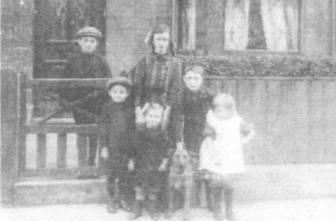 Alice and the children lived at 83A Woodside Road, South Norwood, and the children are seen here standing outside the house in about 1914. Albert Arthur (behind the gate), Len, May and Frank (in middle) with Vera (Viv) and Irene Laura (Rene) in front. Albert Arthur, as mentioned earlier, became a famous locksmith, and Len, Vera and Rene all received money from the Titanic Disaster Fund to help with their respective careers. Frank died of TB at an early age. Albert Arthur, always known as Arthur, was very reluctant to discuss the Titanic, leading one to speculate that he may have known why his father chose to go to sea under the name of Michael Stafford. This detail was left out of the many newspaper interviews that he gave during his lifetime! Despite what happened to Albert and his son's understandable dislike of the sea, his grandson, named Michael Stafford Briant (in memory of his grandfather's alias) has been a seaman all of his life and lives on his self-built Chinese Junk 'Chi-Lin' with his wife, Paddy. They have sailed the seven seas for many years and in him the spirit of Albert Briant lives on. Mike and Paddy's sons also have careers heavily involving the sea.